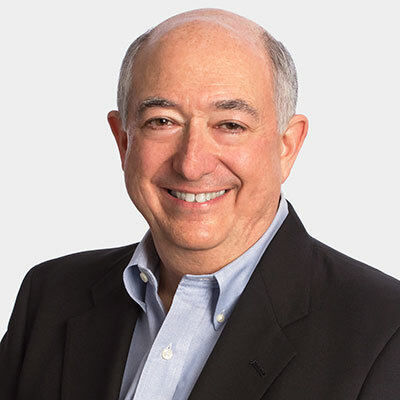 Gerry Katz, Vice Chairman, Applied Market Science, Inc., is a recognized authority in the areas of new product development, design of new services, process innovation, and market research, with more than 45 years of consulting experience. At Applied Marketing Science, he has led more than 300 major client engagements employing the Voice of the Customer (VOC), Quality Function Deployment (QFD), and a large number of other strategic marketing science applications. His client engagements have covered a wide variety of industries, with particular emphasis on healthcare, medical technology, and commercial / industrial products. He is a former member of the Board of Directors of the Product Development & Management Association (PDMA), the world's leading professional society devoted to the study and practice of developing and commercializing new products and services. He is also certified as a New Product Development Professional (NPDP) and is a senior contributing editor to Visions Magazine. Prior to joining AMS, Gerry's experience included 12 years as a management consultant in marketing and market research with Management Decision Systems, Inc., five years in the computer software industry as senior vice president of Information Resources, Inc., and two years as vice president and general manager of Image Presentations, Inc., a specialized marketing communications firm. He is the author of several award-winning papers, and received the William O'Dell Prize from the American Marketing Association in 1988. His articles have appeared in The Journal of Product Innovation Management The European Management Journal, The Journal of Marketing Research, Interfaces, PDMA Visions, and Quirk’s Marketing Research Review. Gerry is a highly sought-after speaker at both public and private conferences on Voice of the Customer, innovation, new product development, and the design of new services. He is a highly regarded teacher, trainer and coach, and has lectured frequently at the business schools of MIT (Sloan), the University of Pennsylvania (Wharton), Dartmouth (Tuck), the University of Chicago (Booth), Carnegie-Mellon, Cornell, Northeastern, and Harvard University. Gerry has appeared twice on the NBC Today Show and in The Wall Street Journal. His outside interests are in music and education, and he has served on a number of Committees and Boards of Directors at a range of institutions, including the University of Rochester, the Eastman School of Music, the Longy School of Music, and the Boston Higashi School. Gerry’s life-long interest in classical music and musical theater has made him a Boston Symphony Orchestra and Tanglewood subscriber for more than 40 years. As a serious amateur pianist, he once performed at Carnegie Hall in New York (to an empty auditorium, however, a fact that he omitted when relating the incident to his mother). He is also a long-time fan of all of Boston’s major sports teams. As a youth growing up in Pittsburgh, he attended Game 7 of the 1960 World Series between the Pirates and the Yankees. Despite the presence on that team of Mickey Mantle, Roger Maris, Whitey Ford, and Yogi Berra, the Pirates won the series with a walk-off homer in the bottom of the 9th. Gerry received his B.S. in management science from the University of Rochester in 1970 and his S.M. in management from the MIT Sloan School of Management in 1972.